Why should I study art? Is it smart to aim at a career in arts administration? Those are questions any young people interested in studying art can rightfully ask themselves. 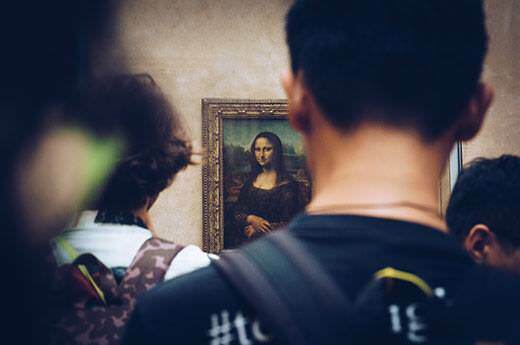 Aside from purely artistic professions, there are many art-related professions such as arts management, event management, curation, art criticism, museum management. There are of course purely artistic professions such as painter, a carver, a photographer, a performer, etc. To be enjoyed by the public, works of art made by artists needs to be displayed, sold, curated, analyzed. Also, exhibitions, dance shows, plays, musical comedy, or any art-related events need to be organized, funded, publicized while staff working on them need to be hired and managed. Those needs opened the way for many other art-related professions such as arts management, event management, curation, art criticism, museum management, etc. Some of these positions require skills beyond the realm of art: management, marketing, event management. Where am I going to find a job? What are the employers for the arts majors? Graduates typically work for art organizations, either non-profit or for-profit such as art galleries, museum, theaters, opera houses, dance companies. How to start a career in arts and cultural management? Education is key here. Schools, such as IESA, can guide you and train you to launch your career after graduation. Obtaining a graduate degree in arts business is essential to build valuable skills in arts management. Being able to take on those positions usually requires a deep understanding of art and a background in art history. People passionate and knowledgeable about art are naturally more likely to be more qualified. While you are still a student, doing internships is an efficient way to build professional experience. In addition, it is recommended to volunteer at local art organizations and art centers. This will allow you to bolster your resume with valuable experiences and be competitive as soon as you arrive on the job market.